RAPAPORT... 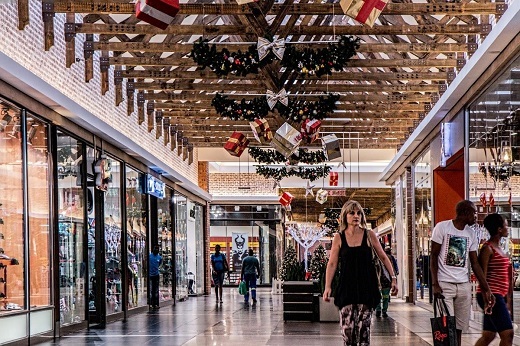 US retail sales will grow 3.8% to 4.4% this year, despite economic concerns and trade tensions, according to the National Retail Federation (NRF). The organization expects total sales for the year of $3.82 trillion to $3.84 trillion, while online purchases are expected to reach between $751.1 billion and $764.8 billion — a 10% to 12% increase. Preliminary estimates show retail sales last year grew 4.6% to $3.68 trillion, surpassing the NRF’s forecast of at least 4.5% growth. Online purchases increased 10% to $682.8 billion. The NRF expects the unemployment rate to drop to 3.5% from 4% last year, and predicts inflation and interest rates will remain low. Despite the positive forecast, consumer confidence fell 5% last month, according to the Conference Board, which measures consumer sentiment. However, the decline appears to be a temporary reaction to events such as the government shutdown, and not an indication that a slowdown is likely in the coming months, the group noted.